Carrollton Therapist: Cressy Wang - Therapist 75010. 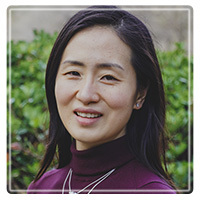 I am bilingual in Mandarin and experienced in working with the unique mental health needs of Chinese and Chinese-American patients. Send A Message To Dr. Wang. Session Fees: Average fee is $150/session. Inquire by phone for specific fee structures. While the support from family and friends is important, a therapist holds the advantage of having treated many individuals with struggles similar to yours. solutions and relief sooner rather than later. As a psychologist trained in the psychodynamic/psychoanalytic traditions, I am interested in learning about your history in order to address your issues in the present. I believe that we are shaped by our current environment as well as past experiences, often simultaneously. In order to make different choices going forward, we must work together to understand how and why you have maintained unhealthy patterns. Once that is done, you will be able to gradually free yourself from suffering the same difficulties in the future. I have previously worked at university counseling centers, inpatient hospitals, outpatient mental health clinics, and juvenile correctional facilities. Cost averages $150/session; out-of-network with all major insurances. If needed, I am happy to provide Superbills and hands-on guidance to help you file for benefits. Give me a call! The phone consultation is free, and I personally answer and return each call from potential patients. This is the quickest way for you to interact with me before scheduling an appointment. You can get a sense of whether we are a good fit, and I can determine if my experiences would be helpful for your particular struggles.If calling out of the blue feels difficult, you can always email me to ask basic questions and set up a time to talk over the phone.